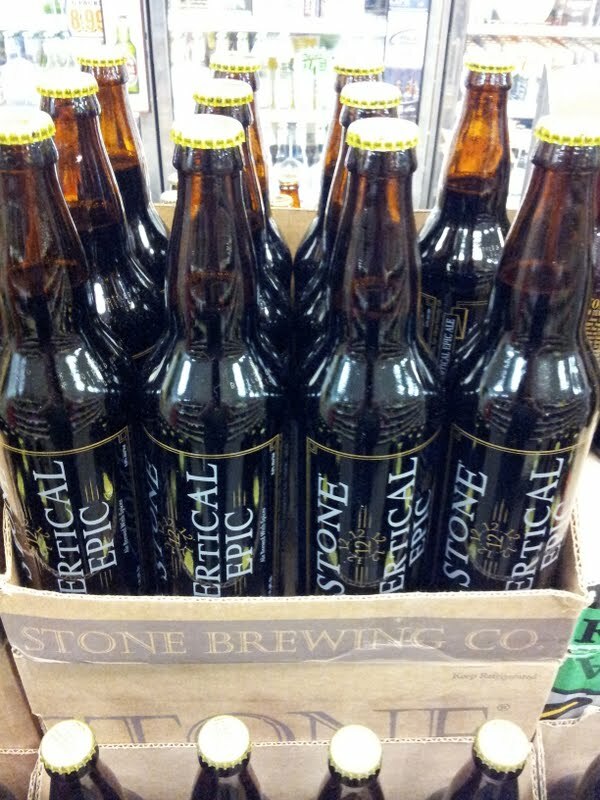 Finally, the last installment in the Stone Brewing Co.'s Vertical Epic series, 12.12.12, has been brewed, bottled, and distributed. Kind of sad to see it end, but what are you gonna do? The series started with the 02.02.02, and if you have any of those laying around you might want to use it as down payment on a Maybach. Hopefully, you at least saved some of the previous years' vintages and will have a nice tasting on the actual 12.12.12 date...and invite me to it. This year's version, of course, uses Belgian yeast just as the previous vintages did. 12.12.12 sees the addition of cinnamon, nutmeg, allspice, orange peel, and rosehips. I honestly don't have a clue as to what rosehips are, or why someone would add them to a beer. But Stone has had a lot of practice, so I give them the benefit of the doubt. 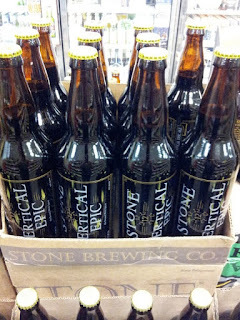 Besides, I'm sure they want to make this last Vertical Epic beer a special one. I'm looking forward to bringing out what I have left of my Vertical Epics next week and doing a side by side tasting with the new one. I saw this at both the Kelly's on Wyoming and the one at Mountain Run, though I'm sure Albuquerque's Stone headquarters of Jubilation must have it as well. It was $9.99 at Kelly's. Enjoy your 12.12.12 everybody! $9.99!!??!! Kelly likes jacking craft beer drinkers, Jubilation has them for $7.99. Also we gonna have a Vertical tasting event on 12-14-12 that will go back to 04•04•04. What's Kelly got on that?